Closing gifts are a wonderful way to say thank you to your clients for their business and trust. Many realtors underestimate how much they are appreciated by clients. Continue reading below to see why house portraits are one of the best closing gifts you can present to a client. 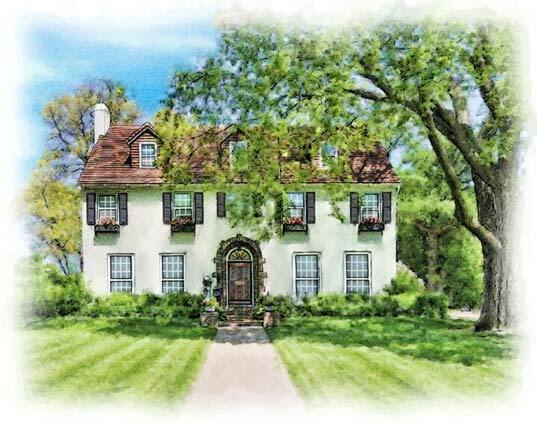 Giving custom house portrait of your client’s new home is a gift that will last a lifetime and probably follow your clients form home to home. It may be the only custom piece of art they own. 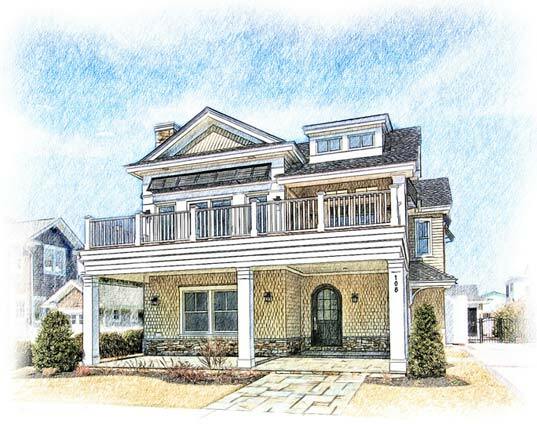 A house portrait is a fantastic and unique way to generate referrals and help with client retention. These portraits are also wonderful gifts, if your client is the seller. It can be a visual record of the history of the seller’s family. A custom portrait of a landmark in the community the seller’s are leaving would also be a nice memento of the time they spent there. These custom pieces of artwork are extremely affordable. Please see my price list for pricing, not only for the portraits but also the options you can add to it. 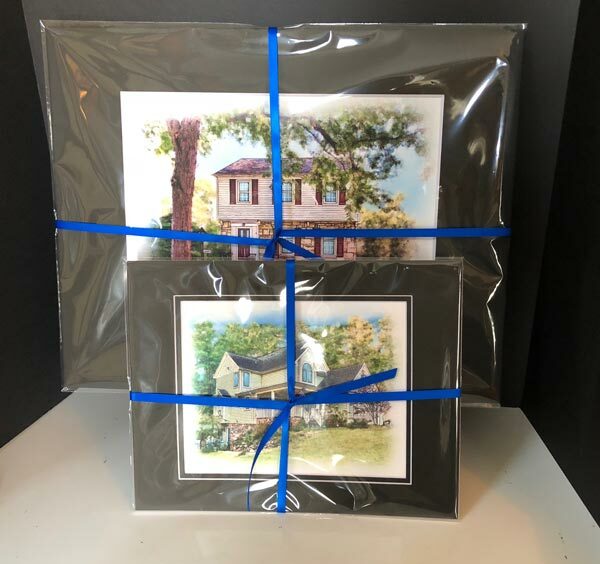 The portraits are shipped already matted, encased in a cellophane envelope and tied with a ribbon. They come ready to give to your clients at closing. Compliments Card – If you chose to have your portrait shipped directly to your client, this is a must. Please let your client know who gave them this unique and thoughtful closing gift. See examples here. Personalize the Portrait – Adding text is also a nice addition. It can take many forms, such as house address, owner name or a saying. Suggested list of sayings. Gift Card – If there isn’t enough time to receive your portrait to give to your clients at closing, please consider a gift card. Please see the How to Order Page for ordering instructions. Please see the Framing Page for framing information.